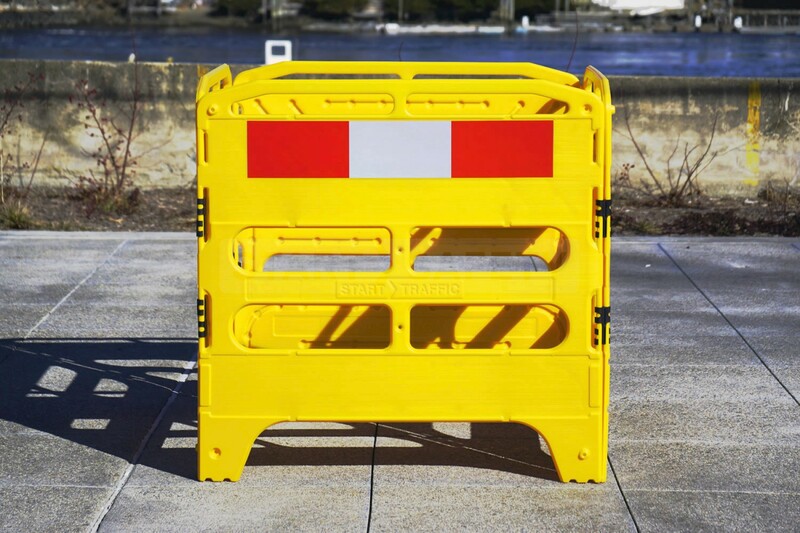 This manhole guard is an affordable, lightweight, portable barrier that is ideal for surrounding manholes or forming a safety perimeter whilst working public areas. 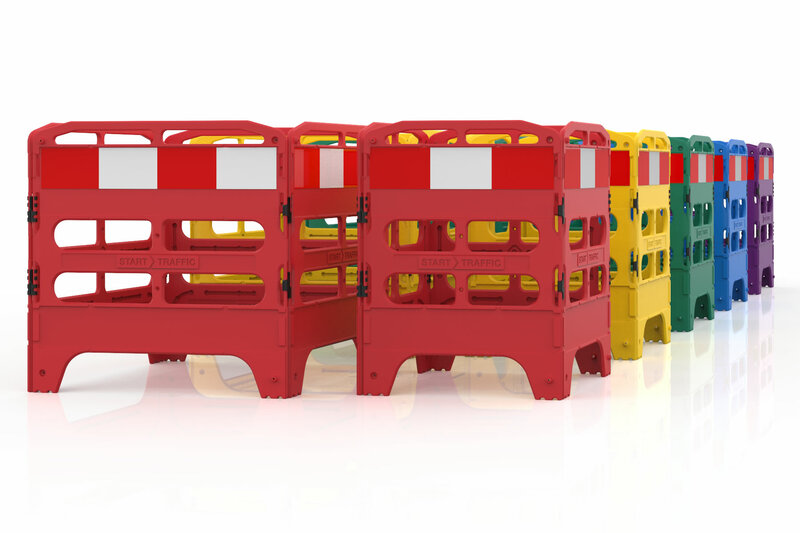 Also known as a 'SafeGate', the new Utility Barrier is next generation in foldable plastic barriers. 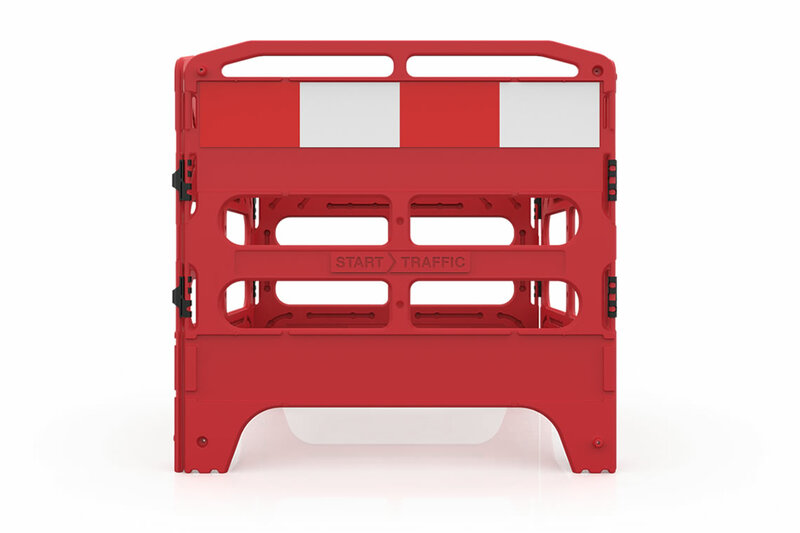 The key feature of this folding barricade is that it can fold into a small flat package that is easily stored in the back of a van or pickup. 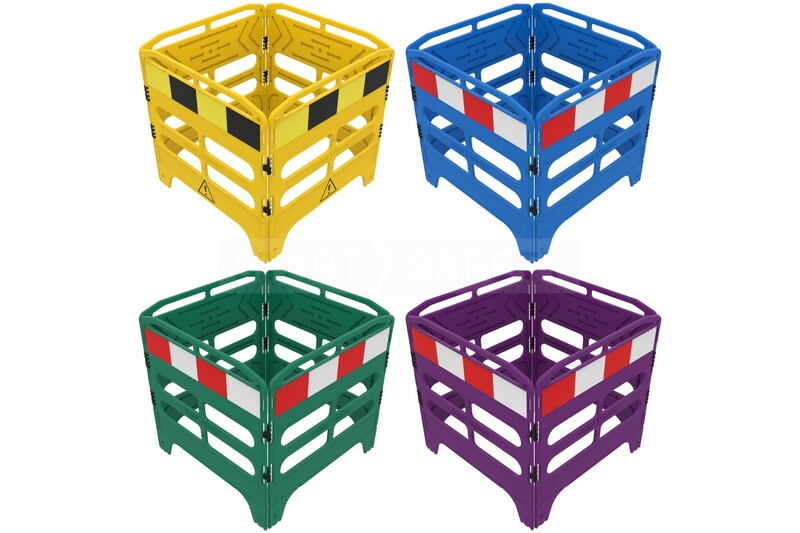 The ability to lock sections together which takes little effort for a single worker to handle and set out makes the Utility Barrier very useful and adaptable to many work site applications. 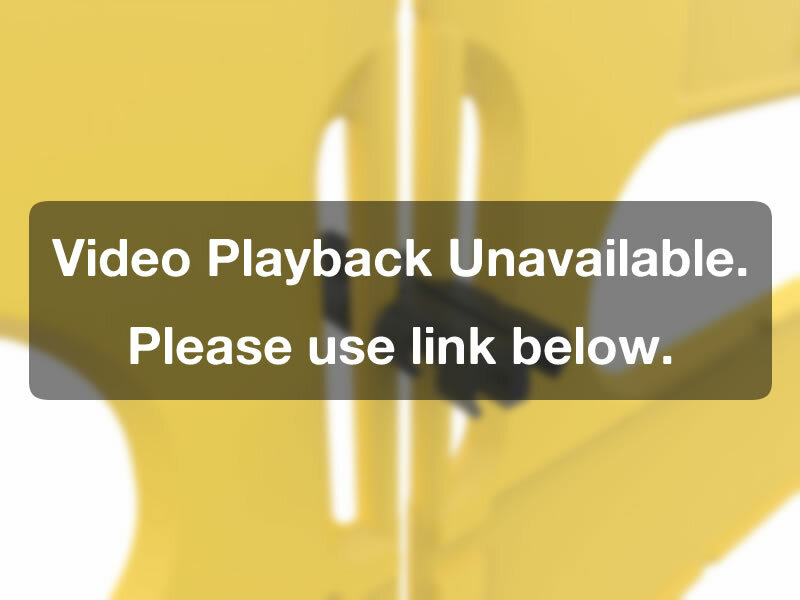 4 connected panels and includes all clips! If you work in the water industry, the all plastic construction makes this a rust free solution for use in wet and high moisture climates as well ability to wash down without the worry of corrosion. Keeping people clear of your working area as an electrician is of critical importance. 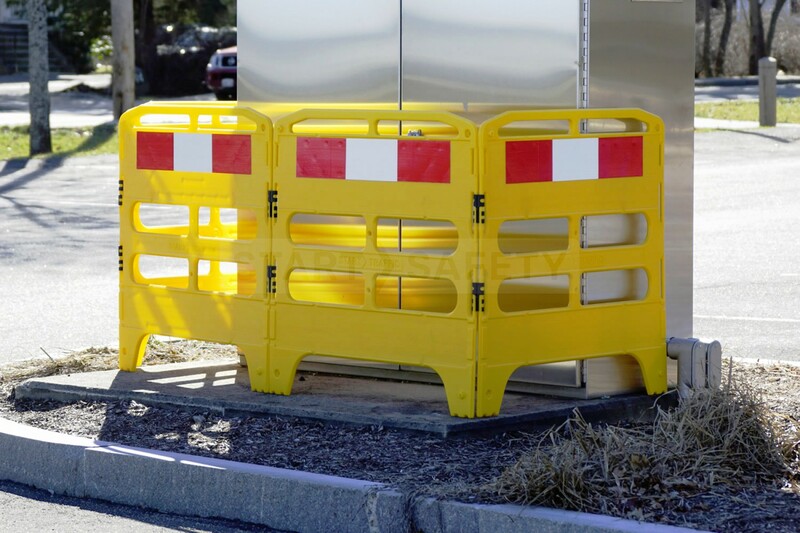 The Utility Barrier provides a non-conductive barrier allowing a safer environment around electrical work. When working in a data center it is often important to cordon off an area to prevent damage to racking equipment and temporary wiring. 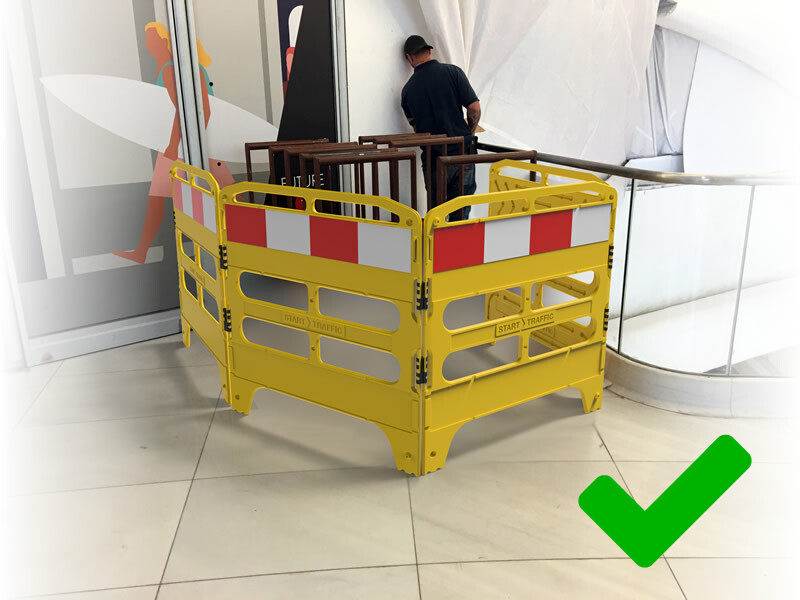 If your escalator, entrance or checkout aisle is out of service the Utility Barrier is the perfect all around multi-purpose barrier for the job. Use It Square or Straight! Both formats are great when working on open drains, floor access panels, and other ground works. 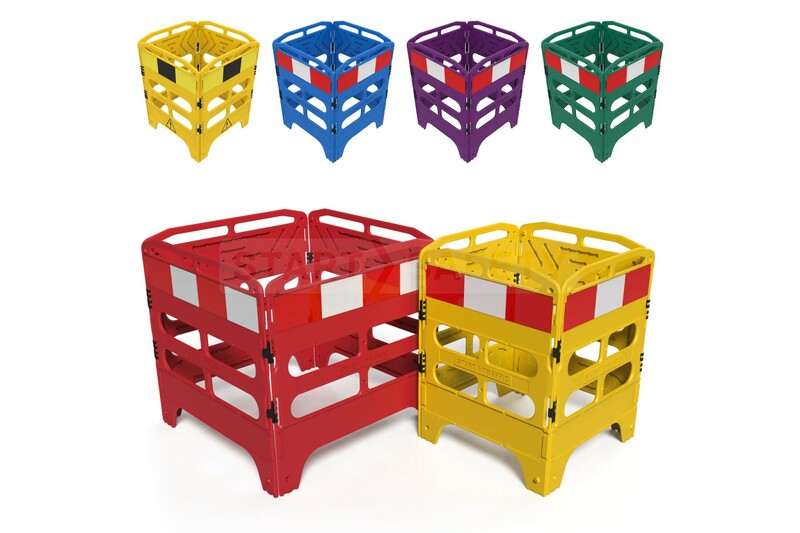 The barricades bright color and reflective strips make the barrier highly visible and will keep pedestrians a safe distance from danger. 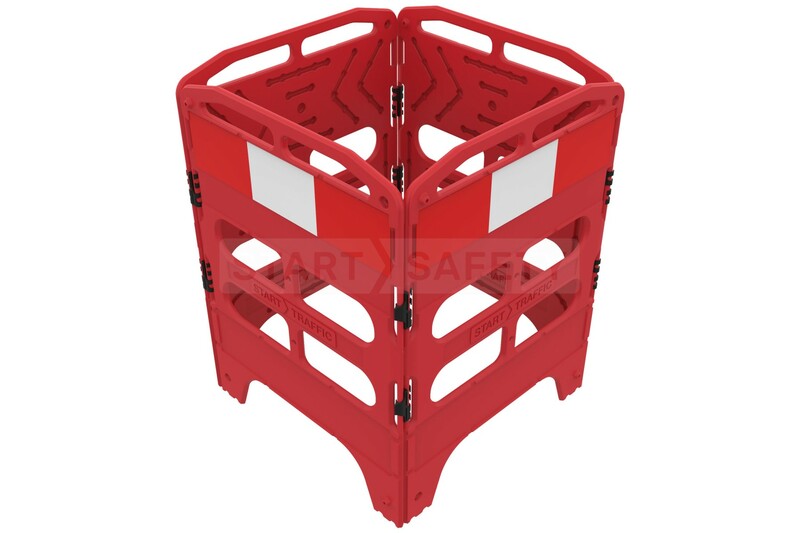 This manhole guard can be used with tents and other accessories to form a comfortable working area in all climates. Connect as many barriers together as you want! 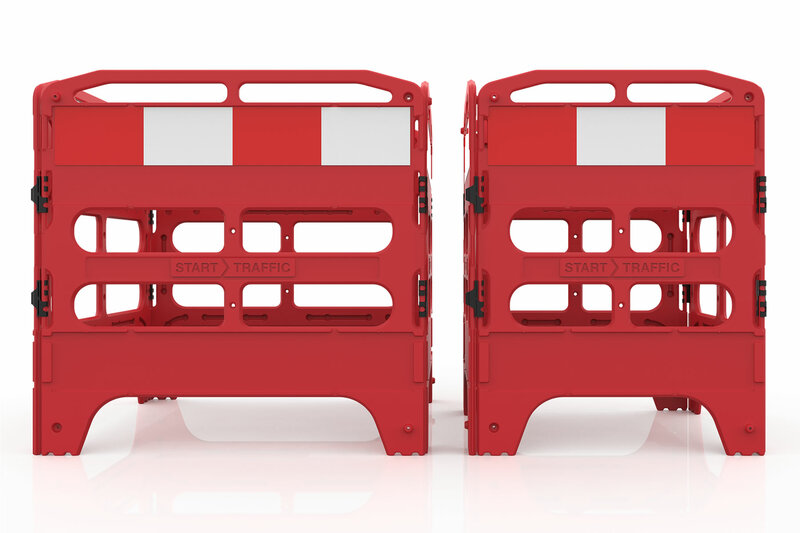 Transportation costs can be expensive, the utility barricade does everything it can to lower this cost by folding into a small area, and being light in weight you can put more in a truck. 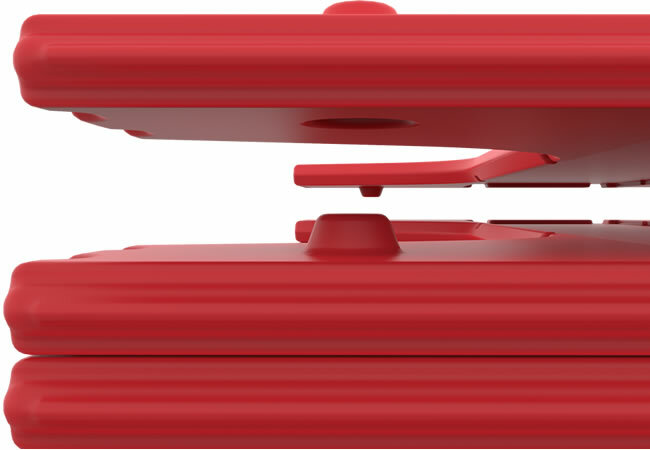 Each gate is designed to interlock front to back or upside down. 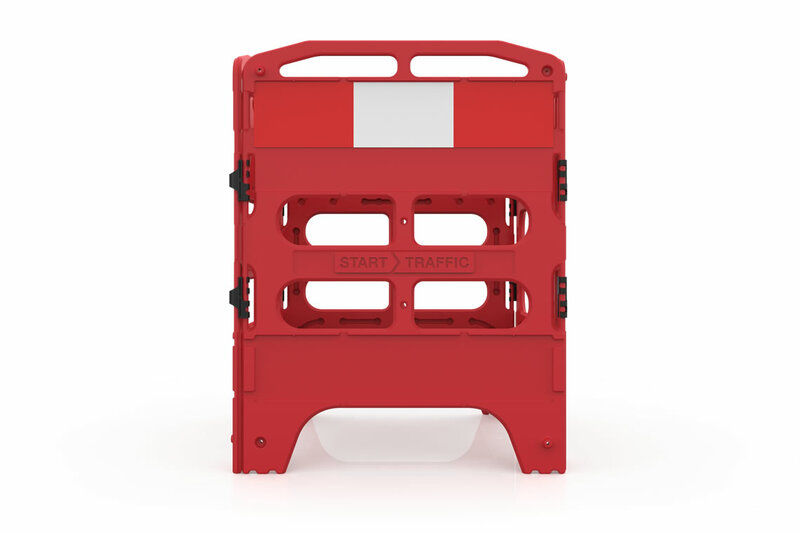 This allows the user to quickly stack the Utility Barrier in any way! Storage space is always at a premium which is why you might have to keep this barrier stored outside. Drainage channels have been added to prevent any collection of rainwater. 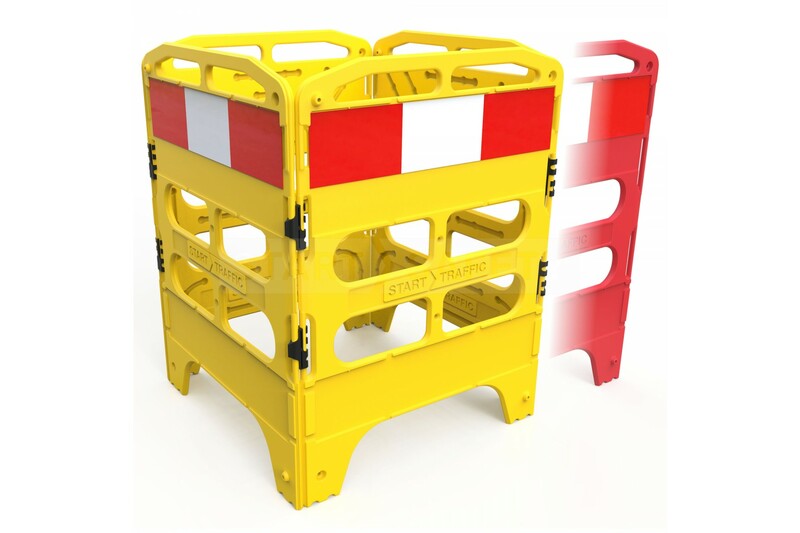 The large recessed reflector has improved visibility and is less likely to become scratched when stacked with other barricades. 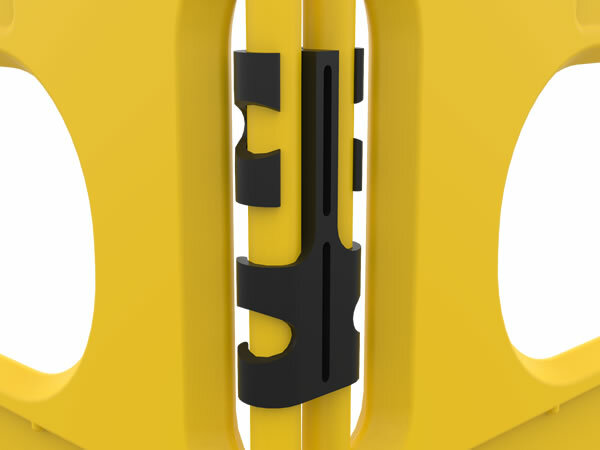 The Hazard Edition features matching yellow and black reflectors as well as printed warning markers on each gate. 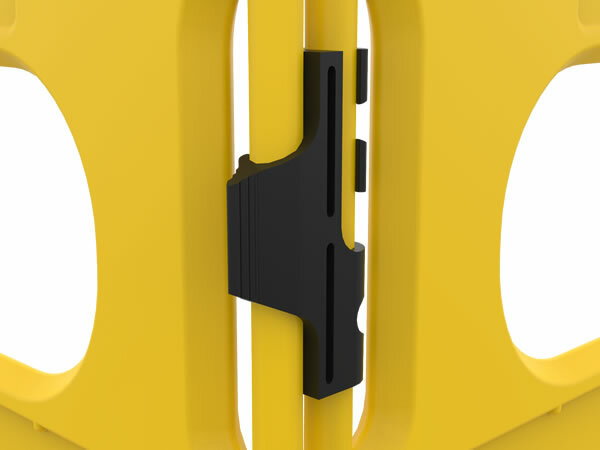 The D-Hook™ clips into place using the round cavities on the back face of the barrier, allowing the user to hang various products such as sandbags, portable lights, first aid kits, and many others. 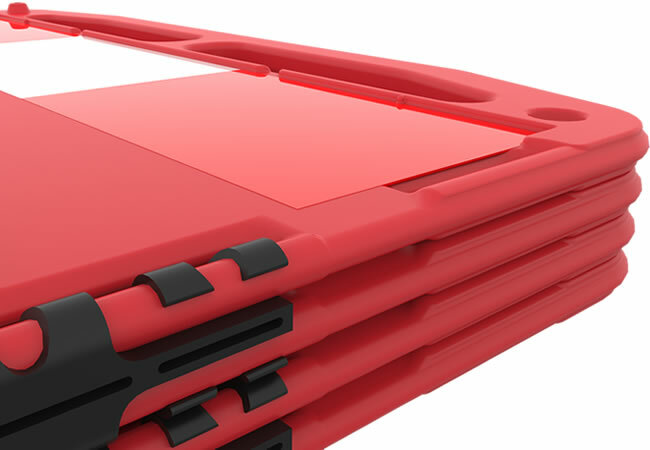 These larger hinges give superior stability and prevent twisting of the frame when in use as a square or inline. 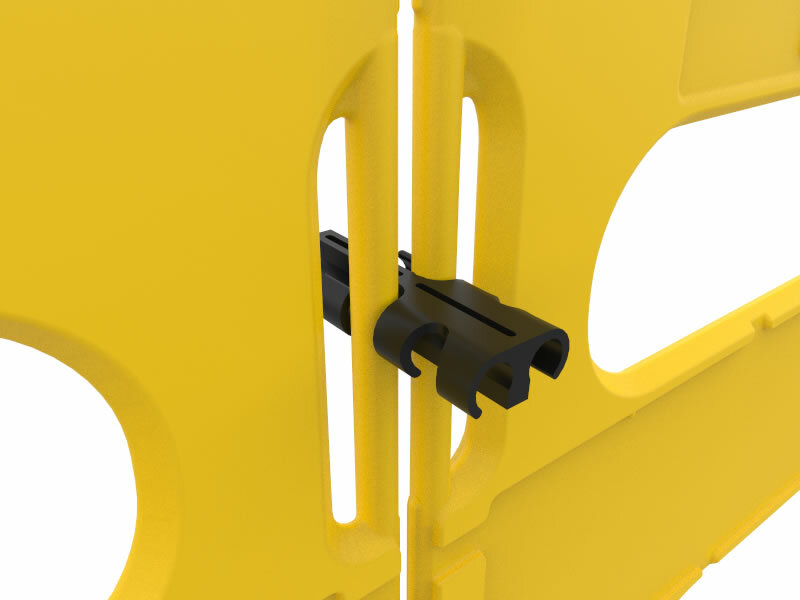 The D-Clip was designed for an easy quick release solution between joining and extending gates. Protect yourself and others when carrying out essential maintenance. 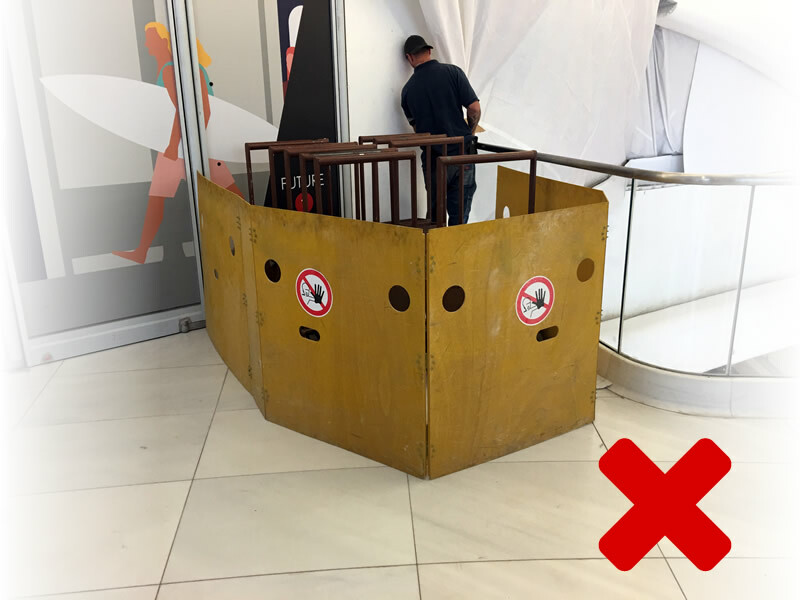 The Utility Gate is a safe and effective maintenance barrier for use when working on elevators and escalators. 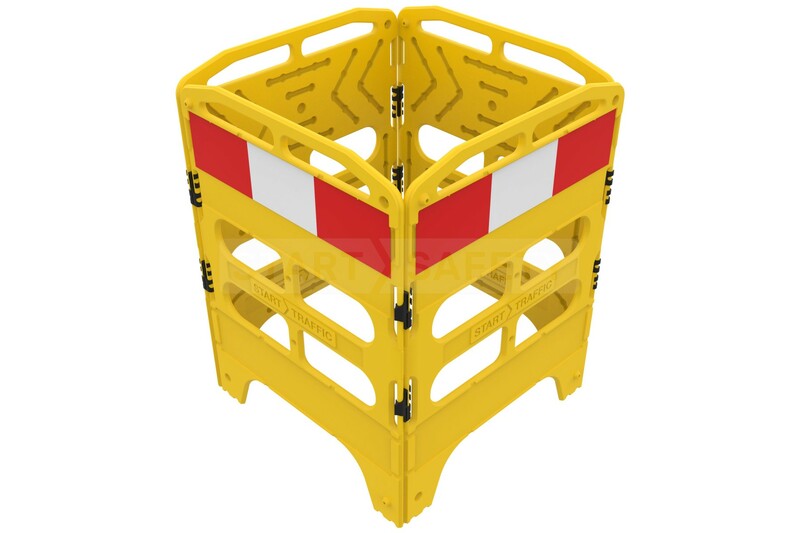 The barrier can be opened out and form an effective barrier to entry for pedestrians who are not paying attention. Multiple units can be clipped together to form a larger escalator barricade giving more working room when needed. When you are finished working the assembly can be folded and easily carried away. Give a better more professional appearance whilst carrying out maintenance work. 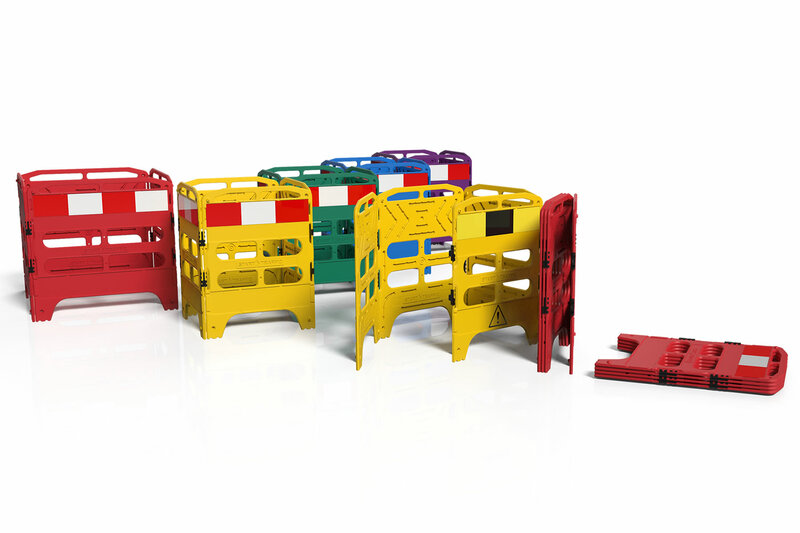 Instead of using “make do” barricades that look ugly, use a proper high visibility system. 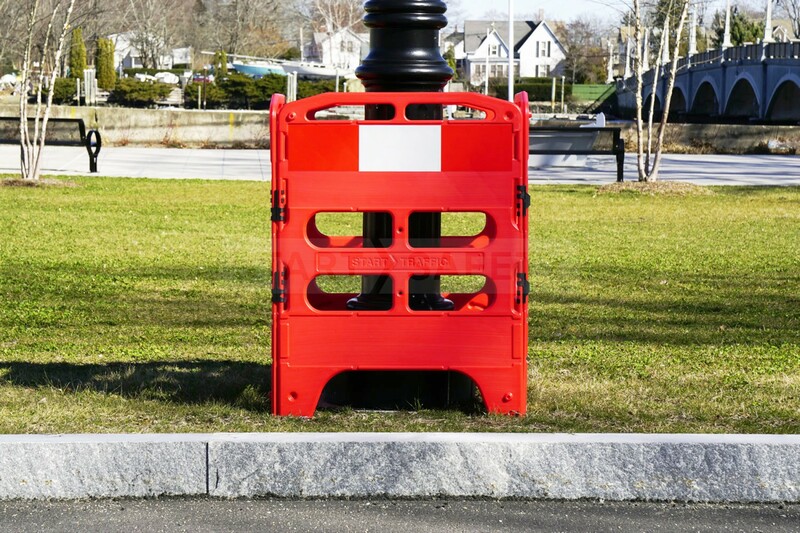 Do you have questions about the Utility Barrier? 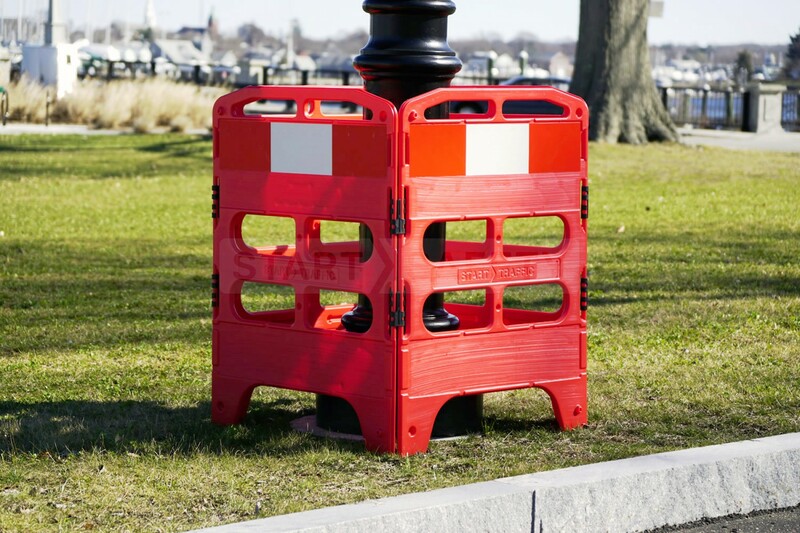 If you have any questions about this manhole barricade then please call our sales team toll free at (800) 671-9662. What is the temperature rating? 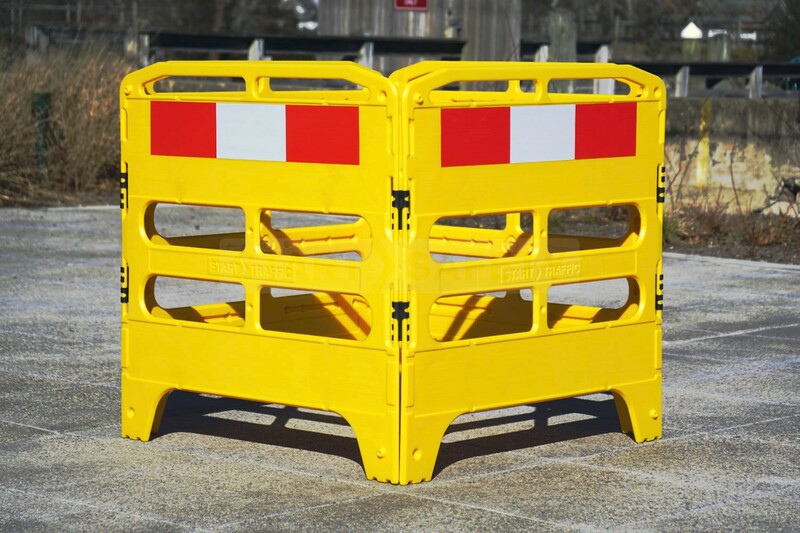 The barriers are made from HDPE, this will allow the barrier to withstand continual operating temperatures between -58F and 176F. Melting points are actually much higher. Can I connect the Utility Gate to a Safe Gate? 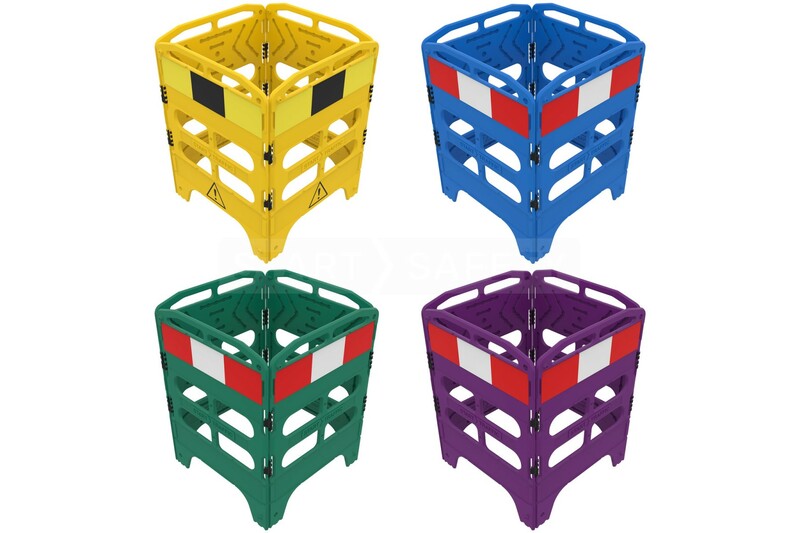 I already have a few Safegate barriers, will these join together? Yes! Using the standard clips provided, they're inter-connectable. 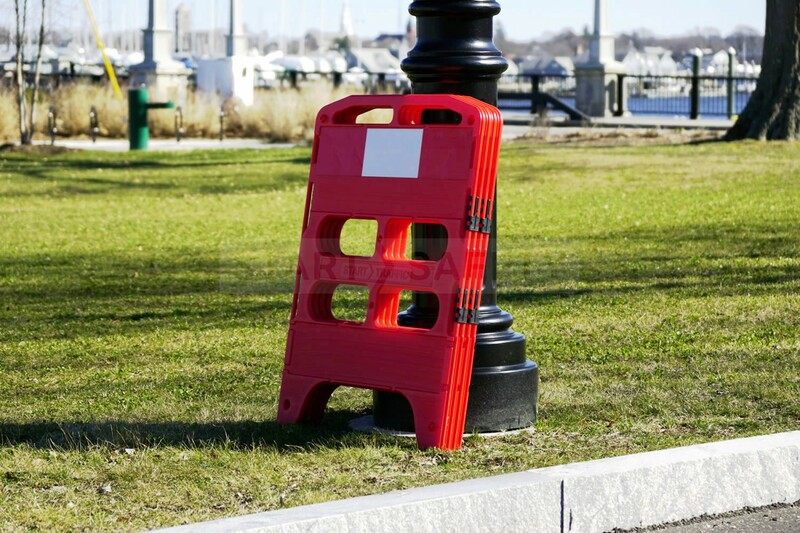 Can I order more than one Utility Barrier and connect them together to create a longer run? Hi Craig, Yes absolutely! You can simply connect the D-Clip onto the next barrier. 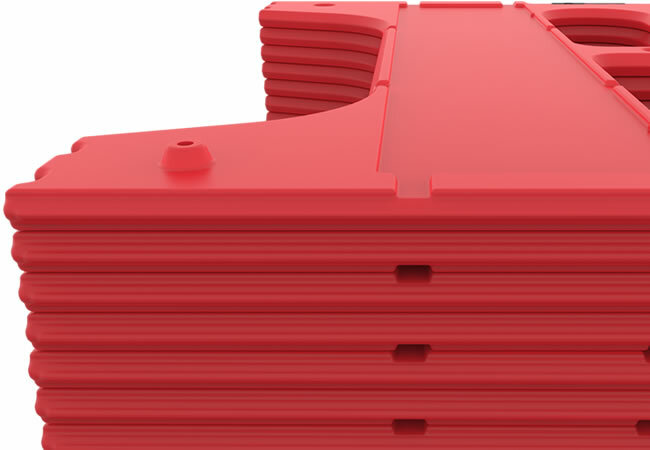 We also supply extra D-Hinges if you want an extra secure connection or long term use.